Multiple sclerosis can occur at any age, but it’s often diagnosed around the young age of 30. 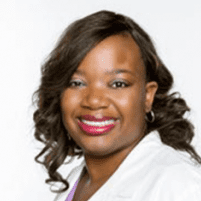 Early treatment provided by Sharisse Stephenson, MD, at Neurological Associates of North Texas can improve your quality of life and help keep symptoms in remission. If you’re concerned about symptoms such as vision loss and numbness or weakness in your legs, call one of the offices in Abilene or Dallas, Texas, or use online booking to schedule an appointment. Multiple sclerosis is a neurodegenerative disease that occurs when your immune system attacks the myelin sheath, which covers nerves. The myelin sheath protects nerves and enhances the transmission of electrical impulses. When it’s damaged, it disrupts normal communication between your brain and the rest of your body. Over time, the nerves become permanently damaged. Multiple sclerosis typically occurs between the ages of 15-45, but it can appear at any age. On average, women are diagnosed at the age of 29, while men are diagnosed at 31. Women have double the risk of developing the disease compared with men. What symptoms develop due to multiple sclerosis? The symptoms you develop depend on the nerves affected by the disease and the extent of the damage. Most patients with multiple sclerosis experience periods of symptoms, followed by quiet periods of remission that may last months or years before another relapse. About 60-70% of patients with relapsing-remitting disease eventually develop a steady progression of symptoms, a condition called secondary-progressive multiple sclerosis. Some patients have a steady progression of symptoms without relapses. This is called primary-progressive multiple sclerosis. How is multiple sclerosis diagnosed and treated? Dr. Stephenson performs a complete neurological exam and may order other diagnostic tests such as a brain MRI or evoked potential tests to evaluate how quickly electrical signals travel through nerve pathways. Since there’s no cure for multiple sclerosis, Dr. Stephenson prescribes one of the many possible medications that help to speed your recovery from attacks, slow disease progression, and manage your symptoms. Many patients also benefit from physical therapy to stretch and strengthen muscles or occupational therapy to learn how to perform daily tasks despite limited movement. If you need an evaluation or treatment for multiple sclerosis, call Neurological Associates of North Texas or book an appointment online.